ATI’S JAFRIB is a synthetic, single-jacket hose with a nitrile/PVC rubber lining and cover. 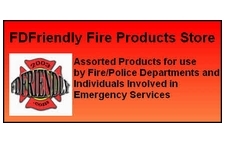 ATI’s JAFLINE is a synthetic, double-jacket fire hose that is available in white, blue, yellow, tan, green, red, and orange. ATI’S JAFLINE HD is a synthetic, double-jacket fire hose that is available in white, blue, yellow, tan, green, red and orange. ATI’S ARMORED REEL is a semi-rigid hose that replaces the heavy red rubber booster hose that was traditionally in use. 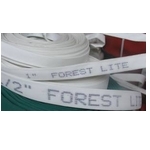 FOREST LITE is a single jacket, circular woven, 100% high tenacity polyester hose intended for forestry and wildfire firefighting. ATI’S JAFLITE HD is a synthetic, double-jacket fire hose that is available in white, blue, yellow, tan, green, red and orange. JAFLITE HD has a rubber lining, offering excellent resistance to ozone. This synthesized rubber is also more resistant to abrasion and oxidation than natural rubber. The outside jacket is impregnated with a high-tech polymer, offering excellent resistance to moisture and abrasion. JAFLITE HD is available in lengths of 50 and 100 feet and can be coupled with NST, NPSH or other, special order couplings. Shorter lengths are available by special order. JAFLITE HD is sourced outside the United States.